The American Christmas Tree Association sounds so, well, all-American. Say the name aloud and your brain may conjure up a Hallmark vision of a family and their dog tromping through a snow-covered field of trees as they search for their very own tree to cut down. The ACTA’s marketing plan has enabled them to more than double their market share of tree sales since 2010. That year 8.2 million trees were sold compared to 2017 when that figure jumped to 21.1 million. It’s too bad that most of those 21 million “trees” were manufactured in China. Yes, the ACTA represents artificial Christmas tree manufacturers whose products are made primarily of polyvinyl chloride (PVC) and metal. PVC is a petroleum-based, non-biodegradable plastic. It does not have a healthy reputation. Why have Americans been seduced by the “natural looking” plastic Christmas tree? Some people cite environmental reasons: Leave our trees alone! So citing “environmental reasons” as the reason to buy a plastic tree from China (how big of a footprint is that?!) doesn’t make sense. The association that represents real Christmas trees is the National Christmas Tree Association. Their members are actual people; real Americans growing trees in America. 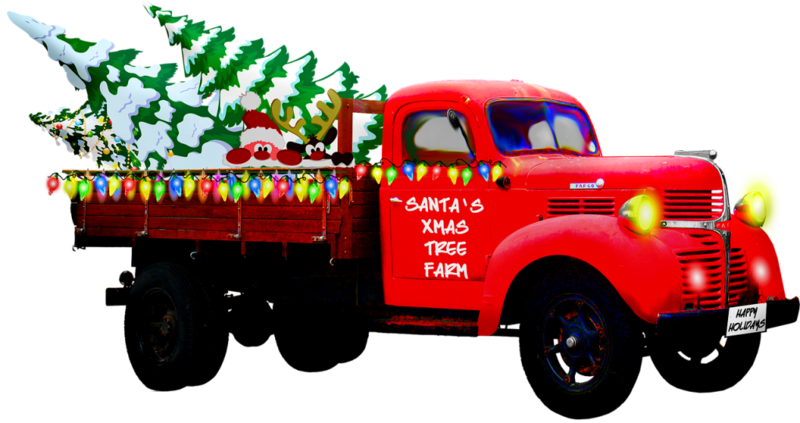 Many of them, such as Loweland Farm where I buy my tree each year, are multi-generational family owned businesses. And think about the memory making aspect: I dare you to compare the idyllic scene noted earlier of the family choosing a tree (either to cut down or to pick one that has been pre-cut) to pulling a dusty box from the attic or basement or garage and sticking plastic branches into a metal trunk. Oh I know there are more expensive flip trees and snap trees that go up in less than a minute. Some are even pre-lit so you don’t have to string the lights. And of course, you can spray a fake scent on your fake tree to make it seem more real. Recycling a real tree (some call it treecycling) has gotten easier. Earth911.com states on their site that over 93% of real Christmas trees are recycled. Most communities have tree pickup service so the trees can be chipped or shredded to produce mulch. Living where we do, we simply drag our tree back into the woods. Artificial trees are not recyclable since PVC is non-biodegradable. Yes, the out-of-pocket expense for a real tree is more on an annual basis. Like other expenses, I include the cost in my Christmas budget. And yes, certainly there are those with allergic reactions to real trees, and I’m sorry those folks miss out on the real-tree experience. But for the rest of you with artificial trees (and you know who you are! ), I encourage you to leave that box in the attic/basement/garage next year and buy a real Christmas tree. Get back to keeping it real, baby. I know who I am. We live in a rural area surrounded by lots of pine trees ( and even some Christmas tree farms). But sometimes, as you get older, you just cannot physically deal with a “real” Christmas tree. And what if you didn’t own a truck or a big SUV in which to bring it home? I have lots of good memories of our “real” trees. 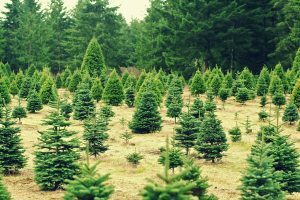 Our family would trek through the Christmas tree farm to pick out “just the right tree.” For some reason, they always looked smaller when they were in the outdoors! But I love the pictures that you send of your beautifully decorated “real” tree, dear sister. My thoughts, exactly. I regret having given up on the “real thing” after too many tears over finding, spending, loading, off-loading, setting, watering, cleaning, digging and planting… WAY too much for your average single mom! My artificial tree comes back up from the basement right on time, easy to carry, set up and put away. It’s pre-lit to boot! It cost me 30 dollars on sale and has served us well for 4 years now. BUT I can read too! And the stats are downing. So next year, I try the harder, “real thing” road again! It’s in my “never look back again” list!